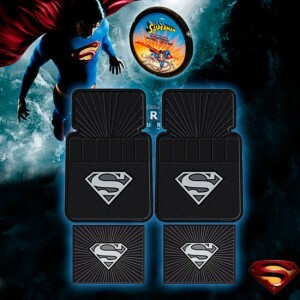 Click the button below to add the 5PC Superman Floor Mats Steering Wheel Cover Shipping Included to your wish list. This is a Brand New Superman Floor Mats and Steering Wheel Cover Set. 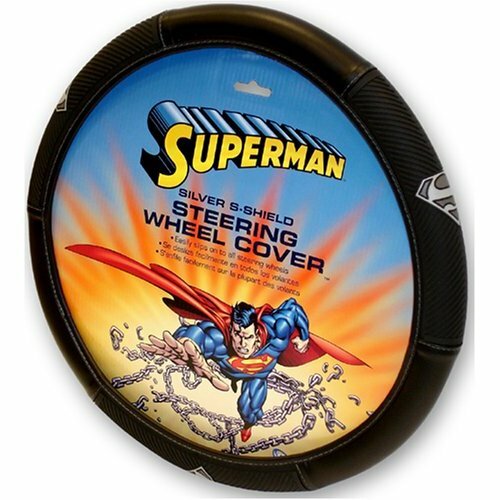 Which will give your cars interior a complete makeover look with SUPERMAN!! Front floor mats are approx. 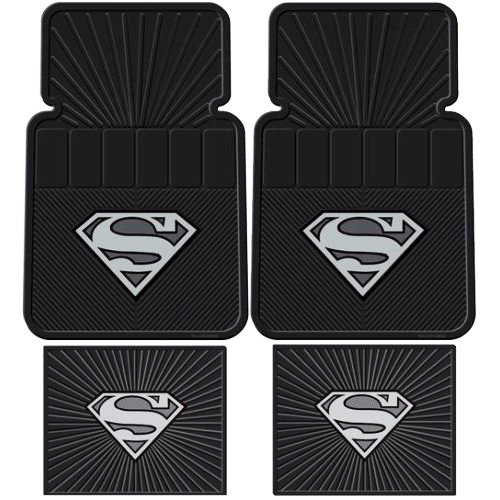 26" x 16.5"
Rear floor mats are approx.14" x 17"
When sending payment to paypal.com, please make sure you send the complete and accurate shipping address include all unit or apartment numbers. Extra Shipping Charges Apply to Ship Items to PR, VI, Alaska, Hawaii, APO, FPO, P.O. Boxes. Please contact us for your shipping quote prior to placing a bid or purchasing the item. * Items are usually shipped with in 24-48 hours of receipt of payment.We do not typically ship on Saturday, Sunday, or on holidays. * Winning Bidders are responsible for paying all shipping and handling costs. Shipping and handling are not refundable once an item has been shipped. Most listings will specify flat rate shipping, some listings require a quote or use of the shipping calculator provided in the listing. * Most items are shipped USPS Priority Mail or UPS ground service. Contact us for a shipping quote to, Guam, U.S. Virgin Islands, or for shipping Internationally. Item shipped via UPS can not be delivered to a PO Box. * Insurance (strongly recommanded for all international shipment) is optional and it's required in the event your package is lost or damaged in transit. Please contact us for the cost of the insurance. * We make every effort to ship your item to you quickly and to keep all items in stock at all times. Occasionally, due to situations beyond our control, we will be temporarily out of stock of an item. In such rare cases you will be notified, and most items are ready to ship within 7-10 business days of being out of stock. If an item will be out of stock for a period longer than that stated above, we will give you the opportunity for a full refund.